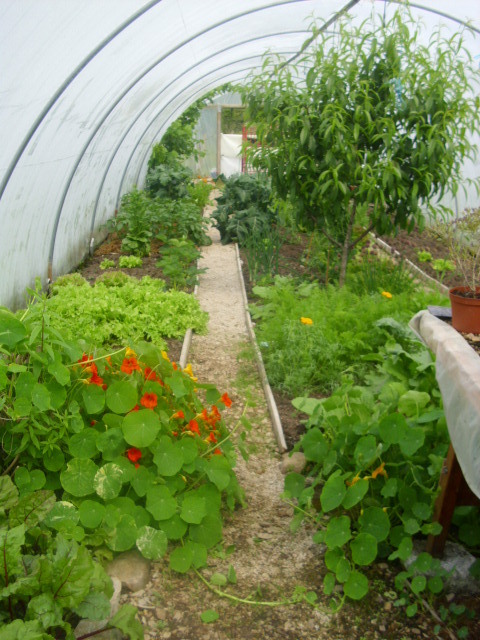 The polytunnel is getting to the stage I really like now, everything growing like crazy, plants merging into each other. Nasturtiums self-seed profusely here, I love their bright colours and the fact that they are edible. 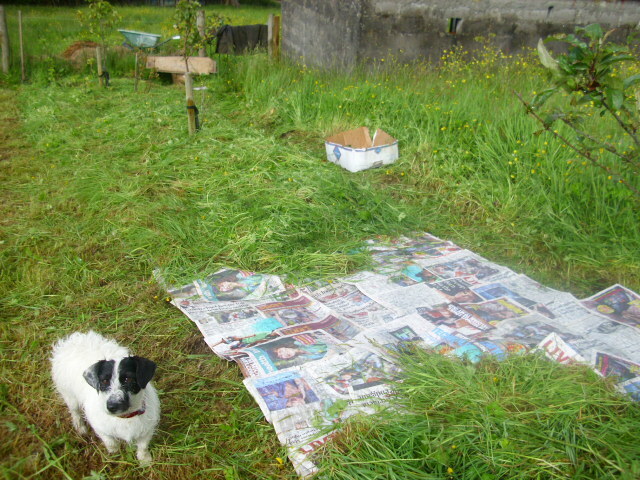 The Peach tree has put on lots of growth, I will prune it once or twice during the Summer. 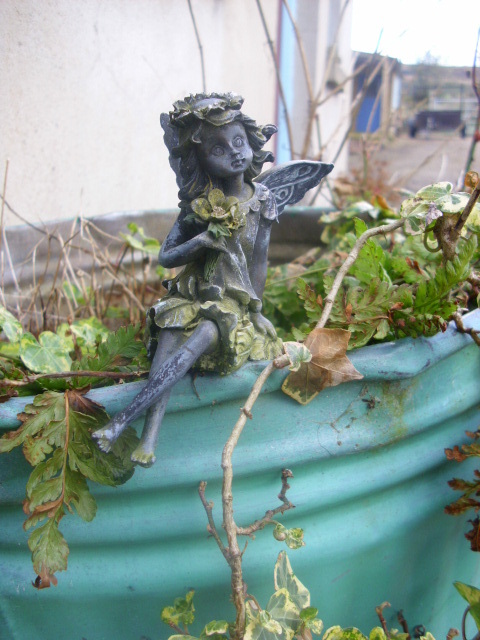 Summer pruning works for Peaches, Plums and Nectarines, Winter pruning can lead to silverleaf and canker. In the top orchard the Bees are happily working away. Andy checked them recently and the hives are good and healthy, no spare honey yet, the weather has just been too cold and wet. 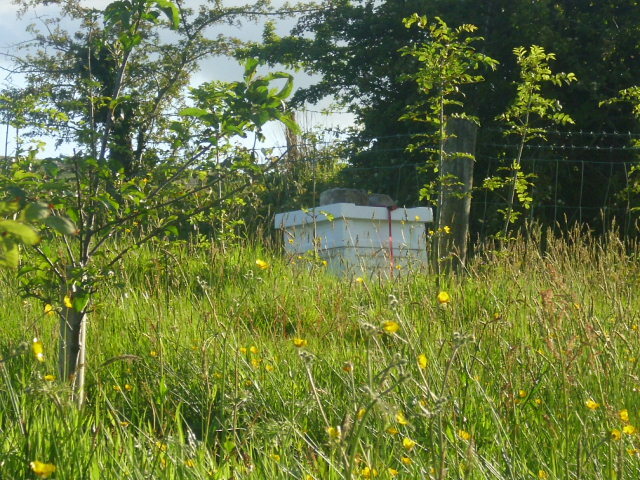 Hopefully the weather picks up and we will get some honey in late Summer. Our main priority is to have happy healthy bees. 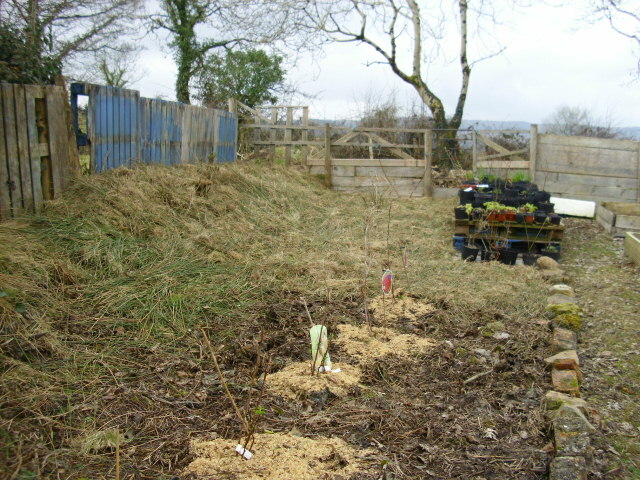 Also in the top orchard we have been extending the mulched area. Up to now an area around each tree was mulched. 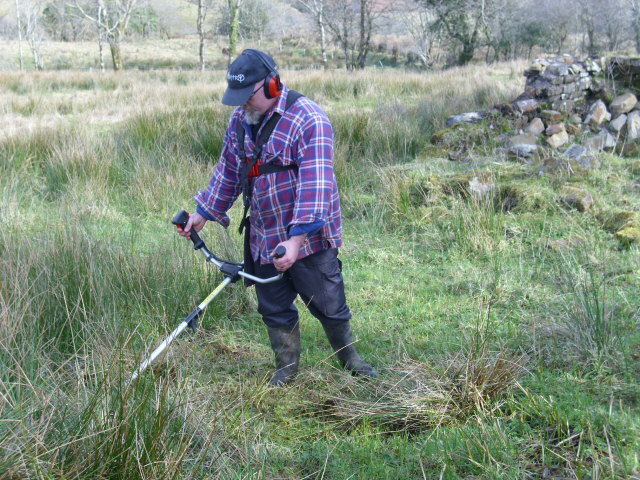 Last week Andy strimmed the grass, we put down lots of newspapers and cardboard, then used the strimmings on top as mulch. When the weather gets better, (fingers crossed) we intend to plant this area with Pumpkins. They are already growing on in pots in the polytunnel. It’s just too cold at night for them so far. They can run rampant here and be pollinated by the Bees. Foxgloves are in full flower now. I am often reminded of a picture of a painting I once saw in a book, of a gnome like being wearing a Foxglove flower as a hat. The painting was by Walter Thun, husband of Maria Thun who compiles the biodynamic calendar each year. 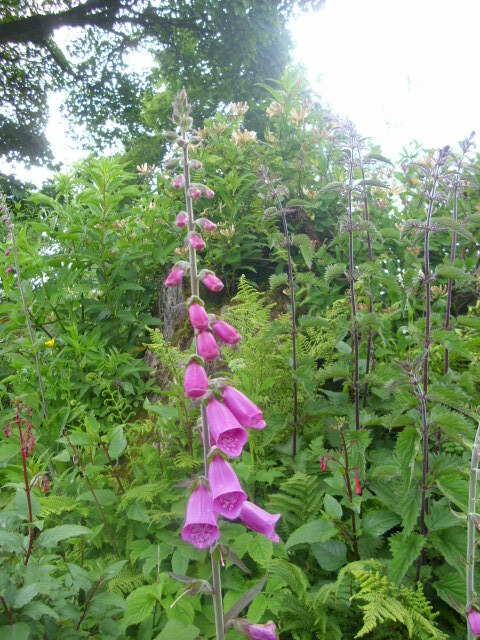 I always have that in my mind’s eye as I gaze upon a Foxglove.